Windcall Residencies and Breathers are a healing (and leadership evolution) process that places full faith in human-beings ability to heal themselves – when we are ready and have conditions that promote well-being and spaciousness. Ellen Barry works as Senior Consultant for Women & Justice Issues Consulting, in Oakland, CA, focusing on issues affecting women and girls impacted by the Criminal Justice System. She has worked to advance the civil and human rights of prisoners, formerly incarcerated people, their children and families for over 40 years. In 1978, Ellen founded Legal Services for Prisoners with Children (LSPC), focusing on the impact of the criminal justice system on these communities.She was executive director through 2001, returning in 2015 to assist the organization with fund development. LSPC pioneered work around women in prison, children of incarcerated parents, and the impact of the prison industrial complex on people of color, their children, families and communities. She is a Senior Soros Justice Fellow (1997), a MacArthur Fellow (1998) and, as one of 1000PeaceWomen, was nominated for the Nobel Peace Prize (2005/2008). She is co-founder of National Network for Women in Prison, Critical Resistance, and the Criminal Justice Initiative Funding Circle. Ellen has written and spoken extensively on these issues and the relationship between race and mass incarceration. Now a “recovering lawyer,” she has brought over a dozen class action lawsuits on behalf of incarcerated parents and their children. Recently, as executive director of Insight Prison Project, she encouraged the growth of racial diversity among staff, board and volunteers in this restorative justice organization. She is a family member of people formerly incarcerated and in recovery, a mother of two amazing youth, a former Blues Club owner, and a recent convert to yoga. 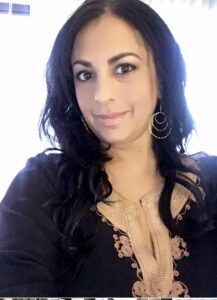 Christine Cordero is an organizer, strategist, and public speaker. She has 20 years of experience in social justice sectors including environmental health and justice, youth organizing, and labor. From organizing environment, labor, and community coalitions – in the bay to the Philippines; to facilitating 200-person Occupy the Hood meetings; and participating in direct actions to stop wars at home and abroad – Christine believes in our collective power to imagine the world we need, to build it, and get free. Currently, she is the executive director at the Center for Story-based Strategy (CSS), where imagination builds power. CSS offers training and strategic support to social justice organizations and networks to use the power of narrative to change the story on the issues that matter most. She received a BA in Linguistics from Stanford University, with a concentration in language and power. She is also proud to serve on the Leadership Sangha (Board) of the East Bay Meditation Center, as well as the Advisory Board for the Filipino/American Coalition for Environmental Solidarity (FACES). For almost twenty years, Desiree Evans has worked with international and domestic human rights organizations as a journalist, human rights activist, and community organizer. Her work experiences range from reporting to advocacy around issues of gender justice, labor rights, civil rights, criminal justice reform, and economic justice — work that has required her to analyze the broader workings of international and domestic policy. 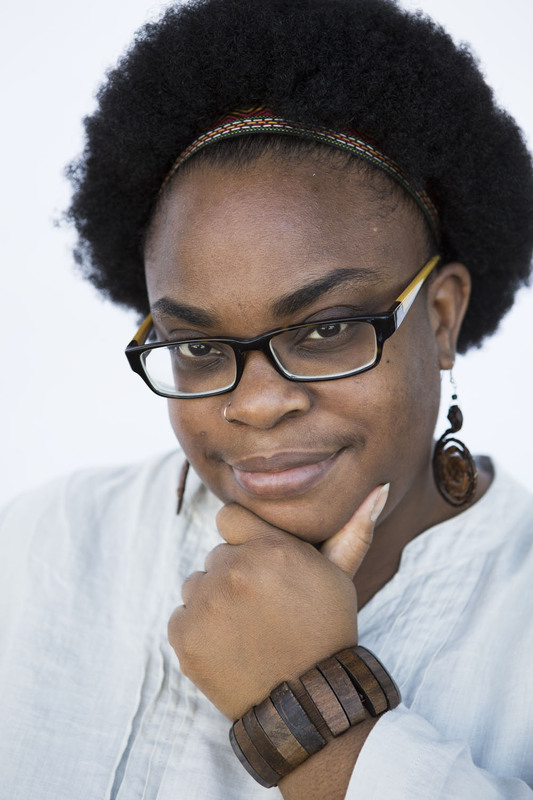 Desiree serves as Director of Programs at Women With A Vision, Inc., based in New Orleans, where she has organized to elevate community voices, change punitive public policies, and fight for the health, livelihoods, and collective power of Black women in New Orleans and across the Deep South. In 2013, Desiree co-founded Wildseeds, a feminist-of-color collective that uses the literary arts as a resource for social change. In recent years, Desiree has also worked as a research associate at the Durham, North Carolina-based Institute for Southern Studies, where she reported on policy issues in the U.S. South, as well as at the Washington, D.C.-based TransAfrica Forum, where she was a lead researcher producing policy reports on economic and political issues concerning U.S. policy in Africa, the Caribbean, and Latin America. As a journalist she has covered issues of race, poverty, and economic justice for such publications as Alternet, The Chicago Reporter, In These Times, The Indianapolis Star, The San Francisco Bay Guardian, and others. Desiree holds a Bachelor’s degree in journalism from Northwestern University in Evanston, IL., and a Master’s degree in International Affairs and Human Rights from Columbia University in New York City. Ezak Amaviska Perez was born and raised in Los Angeles, CA. 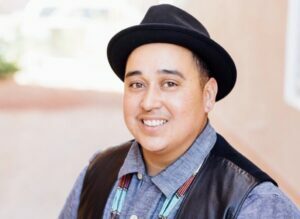 Ezak is a two spirit, Hopi Native American and Latinx community organizer. They have been organizing locally and nationally for the past 15 years. Currently, the Executive Director of Gender Justice LA, they build up the collective leadership and power of the trans & gender non-conforming community. Ezak co-authored a report: Addressing HIV Prevention Among Transmasculine Californians and helped create the first Indigenous Pride LA. They were honored by the Sons & Brothers Portrait Series for Native American heritage month and selected for the art series Queer Icons, by Gabriel Garcia Roman. He was also a 2018 Trans Justice Funding Project grantmaking panelist, helping to move over half a million dollars of unrestricted funds to trans-led organizations. They believe that self-care & community care are critical and essential to be able to do this work for the long haul which is why he spends his spare time in nature and with his chosen family. 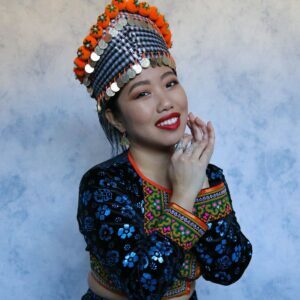 Zon Moua is a Queer, Femme, Hmoob womxn born and raised in Wisconsin. She is the youngest of 11 children, born to refugee parents. She is the Director of Youth Organizing at Freedom Inc. in Madison. Zon has worked on gender-based violence, queer and youth justice issues since the age of 16. In 2016, she co-organized the US Hmong LGBTQ Delegation to the first Global Hmong Women’s Summit in Chiang Mai, Thailand; where over a hundred Hmong women and allies convened to discuss what it would look like to build a future free of gender-based violence. 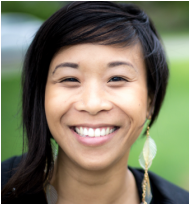 She introduces Black and Southeast Asian youth to social justice movements through direct services, leadership development, and community organizing with innovative cultural art, music and dance programming. Zon’s passion for youth justice has led her to organize on the issue of policing in schools. Through her work, she hopes to not only transform herself, but her community in raising the visibility of Queer, Trans, Black and Southeast Asian leadership and liberation. Karen Monahan is a Senior Organizer for the Sierra Club in Minnesota. Karen has worked on Environmental Justice issues and uses an equity lens regardless of the issue or groups who are around the table. Karen has provided racial equity and diversity training for the Minnesota Pollution Control Agency and served as the co-Chair of the Sierra Club North Star Chapter’s Diversity Council. She served as a co-chair of the subcommittee on workforce education and training with Senator Mike Jungbauer (R) for the Minnesota Green Jobs taskforce in 2008. Karen is a Green For All Fellow and Wellstone Action Fellow. Karen served as the Ambassador for Minnesota representing NIAC (National Iranian American Council), for three years. Karen was born in Iran and adopted when she was four months. She is the proud parent of two boys and a grandmother of two. She believes the change we are seeking, starts within and with family. Kitzia Esteva-Martinez comes from a movement family and began organizing community in San Francisco during high school. They were a youth organizer with PODER’s Common Roots program and POWER’s women workers project, as part of SOUL’s summer school. Kitzia joined their mom in the “No papers No Fear Journey for Justice”. After college at UC Santa Barbara and two years doing multiracial organizing with the Los Angeles Bus Riders Union and Labor Community Strategy Center, they returned to the Bay Area. Kitzia helped build vibrant Immigrant Justice and Racial Justice coalitions in SF and Alameda County by providing space for people from the base to participate through member/ leadership development work. 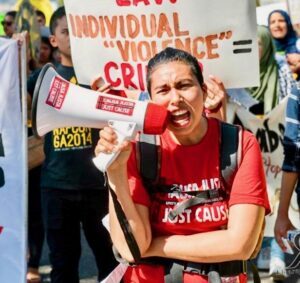 Previously the Regional Lead organizer for Immigrant Rights at CJJC, Kitzia recently became Co-director of the Community Rights campaign to build Black and Blown unity on issues of criminalization and state violence against Black and Latinx Bay Area residents. Hakima Tafunzi Payne has a Bachelor’s of Nursing and a Master’s in Nursing Education. She is currently a student of Midwifery working toward the CPM credential. Ms. Payne is the Executive Director of Uzazi Village, dedicated to decreasing perinatal health disparities in communities of color. She is the creator of The Sister Doula pregnancy navigator Program, The Chocolate Milk Café (breastfeeding support group), the Village Circle Group Prenatal Care Model, and the Lactation Consultant Mentorship Program. 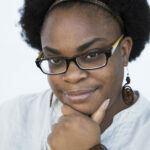 She is an editor for Clinical Lactation Journal, and authors her own blog, Mama Hakima Speaks. Ms. Payne serves on her local Fetal Infant Mortality Review Board (FIMR) and is director of the Ida Mae Patterson Prenatal Clinic. She presents professionally on the topics of maternal and infant health in the Black community and the role of systemic racism in poor health outcomes. 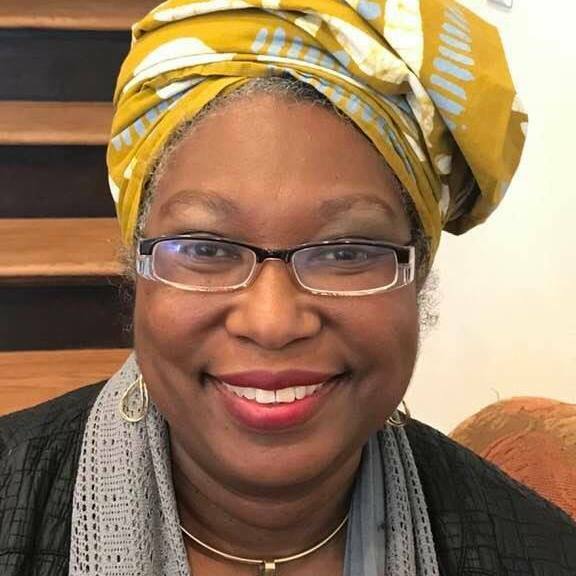 Her career goals include increasing the number of midwives of color and improving lactation rates in the African American community through increasing the number of IBCLCs of color. Ms. Payne resides in Kansas City, MO. Tasha Amezcua is Manager of Finance and Administration at the Audre Lorde Project and also coordinated their Safe OUTside the System Collective. 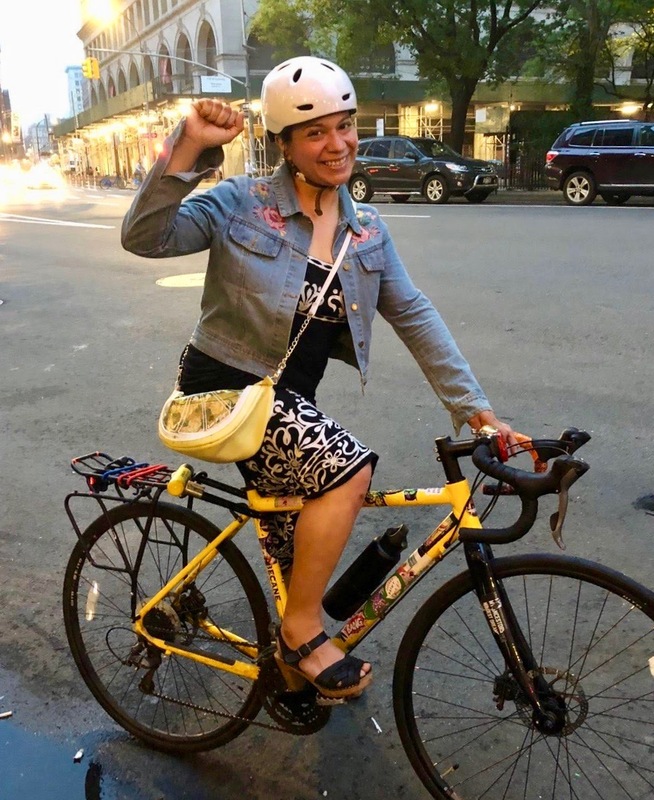 Previously she was the Intimate Partner Violence & Sexual Violence Community Organizer at the NYC Anti-Violence Project, coordinating statewide and local community organizing, public advocacy, and policy. 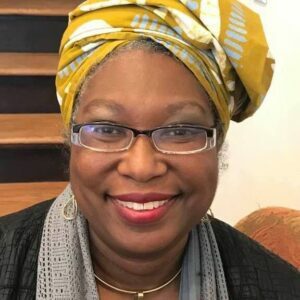 She coordinated the NY State LGBTQ Domestic Violence Network, developing the leadership of LGBTQ and HIV-affected survivors to lead organizing and advocacy. She has 13 years of LGBTSTGNC POC anti-violence community organizing experience. She wanted to be a nun as a child, but realized that the desire was really for queerness, safety, and community. She believes that we are all we need to survive, that we are experts in our own lives, and that community are the folks who show up for you and have your back. 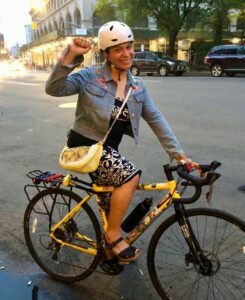 Tasha, a femme-identified queer Chicana survivor of violence, loves cats and bikes, and is originally from Santa Ana, CA, but has called New York City her home away from home since 2003.